Michael Holmes, the multi-talented guitarist and main man of renowned U.K. Progressive Rock band IQ, has released his first ever movie soundtrack album, for a new film adaptation of IQ’s classic Subterranea double concept album from 1997. American independent film maker Mathew Miller picked up the album on a whim as a younger man and instantly fell in love with it and the band. He studied film and eventually decided to make an adaptation of the album as his first feature film. 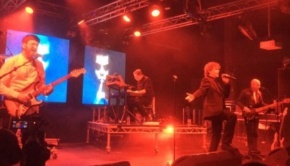 Miller was delighted at the positive reaction he received from the band when he approached them with the idea of making the movie, and Michael Holmes has been closely involved in devising an original soundtrack, which concludes with the first new song from IQ since the release of The Road of Bones in 2014. For the uninitiated, it may be useful to outline the concept of the album which drew Matthew Miller into wanting to make a movie. A man is released into society after being isolated for his whole life. This seems to be an experiment to see how such a person would react to the ‘real world’. The album, and presumably the film upon which it is based, describe how he copes with encountering a whole range of experiences, and contacts with those around him. It’s probably best to leave the description of this sometimes mystifying original album there! Undoubtedly, it makes for an enigmatic, dramatic and engrossing album. I have yet to see the film adaptation but how does it translate as a soundtrack album? Well, just to dispel any misconceptions or inevitable comparisons with movies of other notable rock double albums, these are the things that it is NOT. It is not like the Alan Parker movie adaptation of Pink Floyd’s The Wall, which mainly used the actual soundtrack of the original album, and composed visual interpretations of the subjects of the songs over those images. Neither is it like Ken Russell’s film based on The Who’s Tommy, which re-recorded the songs from the album, sung by artists and actors on the screen in the fashion of mainstream film ‘musicals’. That would have been a wholly unsuitable and impractical way to adapt Subterranea. The movie Subterranea had neither the budget or the artistic standpoint of either of those types of adaptations. Miller has used the story line of a much loved album and adapted it into an original screenplay. The film does not literally portray each song, rather it conveys the underlying themes and the story. 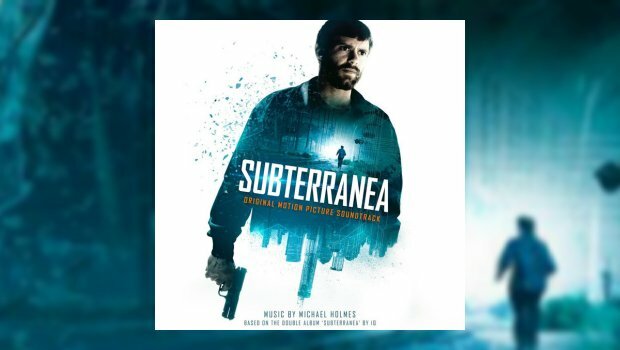 Similarly, Michael Holmes opted not to slavishly adapt or crudely simplify the songs from the album, and has chosen to write a largely original film score, but which has themes and hints from the music composed for the Subterranea album by IQ. The score is almost entirely instrumental, apart from clips of dialogue sprinkled amongst the pieces, and the final song, In This Wilderness, which includes the lyrics and inimitable singing voice of IQ’s Peter Nicholls. Michael Holmes has a history of ‘remodelling’ previously composed music, such as Lost in Paradise, the sensitive and elegiac re-imagining of The Darkest Hour, from IQ’s 1993 album Ever, a touching contribution to the 2005 charity album The Tsunami Projekt. 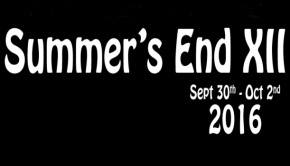 Perhaps more significantly in the context of this soundtrack, he similarly remodelled the title track to the Subterranea album into an ambient techno version called Chemical Rain for the 2005 Hurricane Katrina charity project After the Storm. In 2011 he also masterminded a special anniversary fans only release called IQ30 Remixed which totally deconstructed IQ songs and recreated them in a series of dance inflected ambient interpretations. 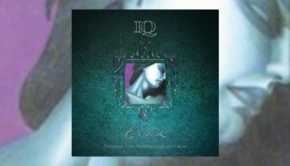 He has, therefore, demonstrated the skills and willingness to adapt IQ music and themes into unfamiliar and very different styles, similar to some of his work with The Lens. Those projects may have been the seeds for the Subterranea film soundtrack, but it would not be fair to characterise this album as some sort of clever remix project of previous material. Subterranea is so much more, and it showcases Holmes’ skills as a composer of evocative, atmospheric and enigmatic film music. Are You Awake? sets the scene in dramatic style with a synth drone breaking into a spasmodic and metallic burst before we hear the words “Are you Awake?” which then explodes into another pulsating metal-edged wave of sound from programmed drums and keyboards. The album continues in less frenetic style via a series of mainly keyboard/synth passages and sparingly used guitars with occasional scattered clips of mysterious dialogue, such as the beguiling sound of a child learning their alphabet on ABC. 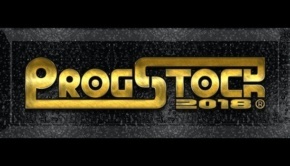 One could choose to spend the album playing ‘Spot the IQ Subterranea Track’, such as the subtle and mournful referencing of the song Subterranea on The Rip, but that would tend to miss the point and would detract from the fine and sometimes beautiful original music which threads through this album. Sleepless Incidental is delicately echoed on acoustic guitar on the captivating On the Street, in which we hear sounds of a hobo presumably panhandling for loose change. An echoing harp-like guitar chimes through a diaphanous Closer and could be a subtle reference to another IQ track, but to be honest I chose not to care where it may have come from and just descended into the music. The mystifying nature and sweep of the music allows the listener to conjure up their own images, or just drift along with the journey. The final payoff is a great climactic theme song, In this Wilderness with Peter Nicholls’ characteristically impassioned but restrained vocals – a song which could easily have featured on IQ’s excellent Frequency or The Road of Bones albums. Any touches of familiar IQ themes are dreamlike and almost intangible in nature, and perhaps should be treated in that way as this works as a whole album in its own right, as track after track flows along with atmosphere and feeling. Holmes has revealed that whilst his main intention has clearly been to compose a film score, he also realised that he wanted to create something which “you could sit back and listen to in isolation”. He succeeds as we have the sense of an original instrumental album which stands on its own feet and can be enjoyed without the visuals. Such is the subtlety and touch of these pieces it would not be surprising if Holmes is seen scoring other film or TV projects… it has also made me want to track down and watch the film!